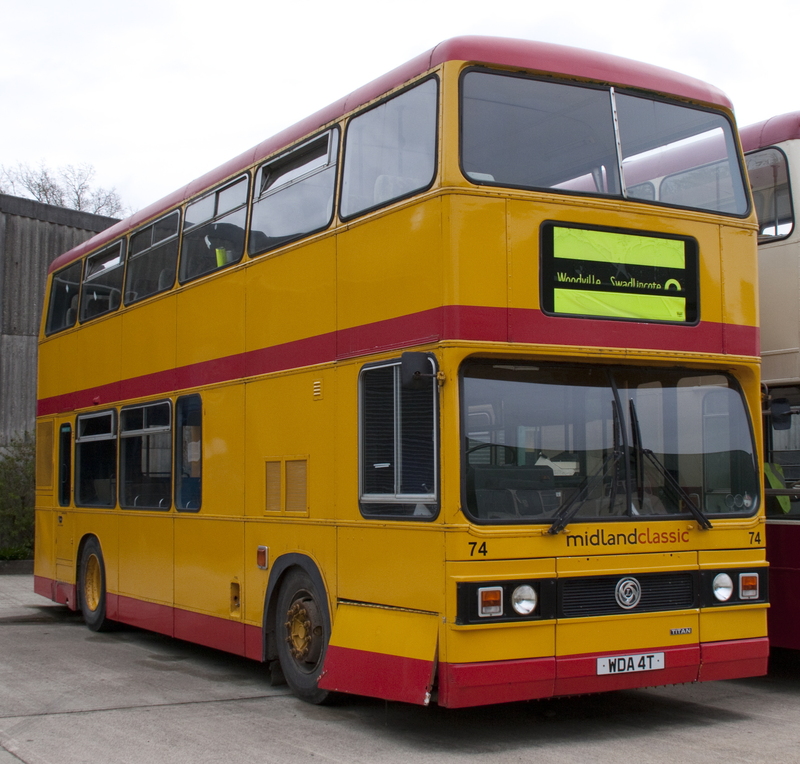 Preserved Midland Classic bus 74, (reg. WDA 4T), a 1979 Leyland Titan (B15), pictured at the Wythall Transport Museum in Wythall, Worcestershire. This vehicle was at Chasewater Railway for repairs to the engine, gear box, electrics, etc., etc., etc. (As the King of Siam once said!). The 28th production Titan, it was part of the early batch built by the British Leyland subsidiary Park Royal Vehicles in Park Royal, London (later ones were built at Leyland’s expanded factory in the Lillyhall Industrial Estate, Workington). It’s one of the very few Titans that were not built for London Transport as part of their dual door T-class, instead being delivered new to the West Midlands Passenger Transport Executive, the local authority operator covering the West Midlands conurbation. WMPTE took it as part of a batch of 5, (reg. WDA 1/2/3/4/5T), and numbered them in the series 7001-5. 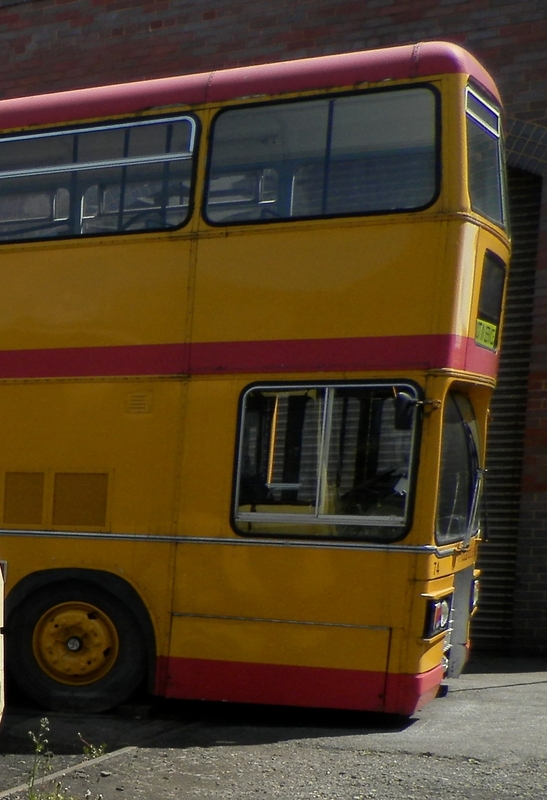 Unlike the London buses, it had a single door layout giving 47 seats upstairs, 26 down, and used a smaller destination blind box (the intended standard size being visible in the bodywork’s otherwise standard panelling). It also used four vertical blinds for the route numbers, on the front, side and rear, instead of the London designed blinds. The staircase was also further forward, meaning they didn’t have the small window on the lower deck over the driver’s side wheel arch. While at WMPTE, 7004 wore at least two versions of their blue and cream livery, having been repainted at Walsall works in 1982. This entry was posted in News and tagged (reg. WDA 4T), a 1979 Leyland Titan (B15), Bus, Chasewater Railway, Lillyhall Industrial Estate, Preserved Midland Classic bus 74, WMPTE, Worcestershire, Wythall Transport Museum. Bookmark the permalink.